As a company with a microfilm, microfiche or aperture card library you are already well aware of the need and have made a commitment to keep and maintain access to documents for a long period of time. Microfilm scanning services and microfiche scanning services offer substantial benefits over paper records although they operate separately from day to day archives in the company and retrieval is often a time-consuming chore for staff. Technology has advanced and it is now possible to scan, store and distribute documents securely across a company using standard IT infrastructure (computers, tablets and the corporate network), in fact you may already be taking advantage of a document management system such as Sharepoint, Documentum or Opentext within your organisation. PaperMountains' microfilm scanning service bureau will take your microfilm, microfiche even aperture card, scan them so you get all of the benefits of microfilm scanning without having the infrastructure cost of microfilm scanners, servers and software as well not having to train staff and remove them from their other tasks to prepare the microfilm, scan and index. Converting your microfiche or microfilm library into electronic images to take advantage of the ease of use and speed of a document management system couldn't be simpler, PaperMountains will collect your microfilms and scan them on film scanners to get the best results. The microfilms and microfiche can, after processing, be stored at very low cost in our physical archive or destroyed so that you can use the space where the film library was housed for a more productive purpose. Because your Microfilm and Microfiche library is scanned and converted to electronic images and stored in the same system as your other electronic documents, you are able to search the index data and have the pages you wish to view returned to your screen within seconds. Digitisation of microfilm and microfiche documents allows you to put them in the same Electronic document management system as your other scanned documents which means you can grant access to the documents to any one equipped with a computer or tablet device anywhere in the organisation. 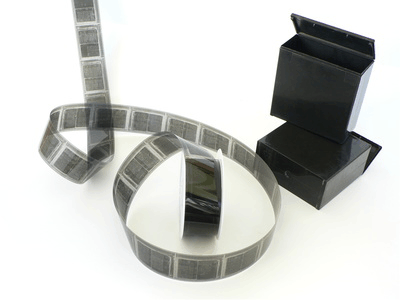 A microfilm library is a central resource which you can open up by scanning or digitising to anyone in your organisation with the proper security credentials. Because the electronic images can go into your existing document management system alongside scans and e-documents you can ensure the correct departments and individuals are able to use them as a shared resource. Once scanned your microfiche and microfilm documents can be available to all authorised users at the same time, at their own workstation or mobile device, even when working from home so there is no queueing for microfilm or fiche readers. Documents from a scanned microfilm and microfiche library can be viewed in seconds on a variety of devices anywhere in the world with a suitable connection to your servers. When you digitise you microfilms and microfiche to put them in a document management system or online archive it is possible to grant permissions as to who can access document and what they can do once they have found them. It is also possible to store an audit trail of who has accessed what documents and when. There are many ways to integrate other applications with electronic images of scanned microfilm and microfiche documents, one of the most common would be to call them back from the electronic archive from within another application by directly referencing the index data which the documents are stored by. 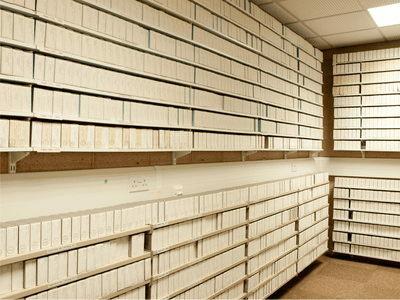 Traditionally the microfilm or microfiche library was where documents went to be stored at the end of their life and calling them back from there was a manual, slow and not always easy process, by switching that library to electronic images by scanning allows you to unify your documents into a single repository or document management system. This means that faxes, emails, scanned images, word documents would be stored alongside the scanned microfiche and microfilm giving the users one portal to search on their pc or mobile device no matter the age of the document. Because the electronic images created by scanning your microfilm and fiche library are available on computers and mobile devices for all authorised staff long trips away from the desk hunting for documents are avoided, leaving staff available to do more productive tasks. Many companies who have traditionally used microfilm and microfiche to archive their important business documents have switched from here on to scanning and placing them in an online archive or document management system. Scanning or digitising that historical microfiche and microfilm archive gives them the opportunity to fully utilise that electronic document management system whilst at the same time making space in their buildings where the microfilm library and readers were housed. Find a better more productive use for the space where the microfilm library and readers currently sit or get rid of it all together to cut costs, even rent it out to generate income. Your documents will be available within seconds on your computer or mobile device as opposed to the current situation where anyone wanting a document has to leave their desk, walk to the microfilm library, search manually through the index, find and load the film and search for the document they want. Because you will have documents at your fingertips you will be able to find them quicker and deal with enquiries faster. By scanning your microfilms and micro fiches to the same repository as your live documents you only have one place for your staff to go to find everything they need and they can go there without having to leave the desk. Finding your documents archived on microfilm or microfiche involves at least a physical walk to the library, manually searching the catalog, pulling the correct film and finding the document you want, all of which takes time. If someone is working from home, on site, in another office or even overseas, they either have to make a visit to the building where the microfilm library is held or request that someone else gets the documents for them. Once scanned the digital images of the microfilm documents are available to be found by searching for the catalog information you specify on your employees computer or mobile device where ever they are in the world twenty four hours a day just the same as your other computer systems. This makes your historical archive of documents available to all on a self service basis in seconds. Use the Contact Us Panel or CALL NOW 0808 281 1100 now to find out more about PaperMountains microfilm scanning service, microfiche scanning service and aperture card scanning. To find out more please complete the form below and someone will contact you shortly.